What is the Geological Survey of Italy Portal? Since more than 140 years, the Geological Survey of Italy is in charge to collect, manage and disseminate geological data of Italy, with specific concern to cartography, in agreement with Law n. 68&1960 that indicated it as the official National Cartographic Body. The Geological Survey of Italy Portal is the gate to access to all the available geological data of interest for the italian peninsula. Datasets owned by ISPRA, Geological Survey of Italy and those owned by the Regional Geological Surveys: Journals and publications of the Geological Survey of Italy and links to the main scientific journals that are dealing with geological topic in Italy;the institutional activities and international projects carried out by the Geological Survey of Italy;News about events (conferences, workshops, seminars) and other information of interest for the italian geological community. The portal has been realized with the aim to share, integrate and disseminate the huge amount of data collected in the datasets owned by the Geological Survey of Italy. These data are easily accessible through mapping tools for viewing. The portal is structured in line with the legal framework fixed by Legislative Decree n. 32/2010 that follows the INSPIRE Directive (2007/2/CE) that has introduced an infrastructure for territorial information in the European Community. 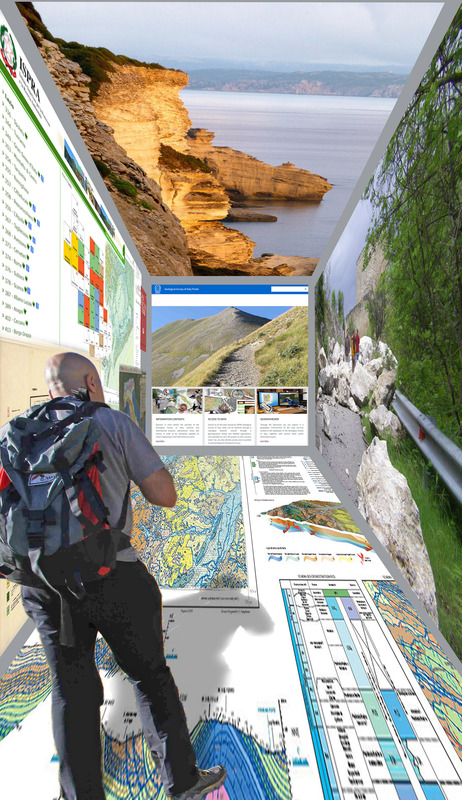 The Portale del Servizio Geologico d’Italia has been built to allow an easy access to geological data even to a citizen with no specific expertise in geology. He will be able to easily access to geological and geothematic maps and to learn about the activities of the Geological Survey of Italy at national and international level. Expert users will be able to search data through the catalogue of metadata, and will access to essential data for geological research and for land planning and prevention of natural disasters. The possibility to overlay different layers, will allow the expert users to integrate, calibrate and validate geological information with other informative layers owned by different institutions.